Kitale and 11 others were brought overseas by Gloria Dei Lutheran Church in Hancock to explore the area, live with the families of the church and be reunited with many Finlandia faculty and staff members who have traveled to Tanzania over the last 10 years as part of the Servant Leadership Program. While here they’ve toured Quincy Mine and the Laurium Manor. They met with Hancock City Manager Glenn Anderson. They ate their first pasties at Kaleva Café. Then on Monday night they served up a delicious community meal at Gloria Dei. 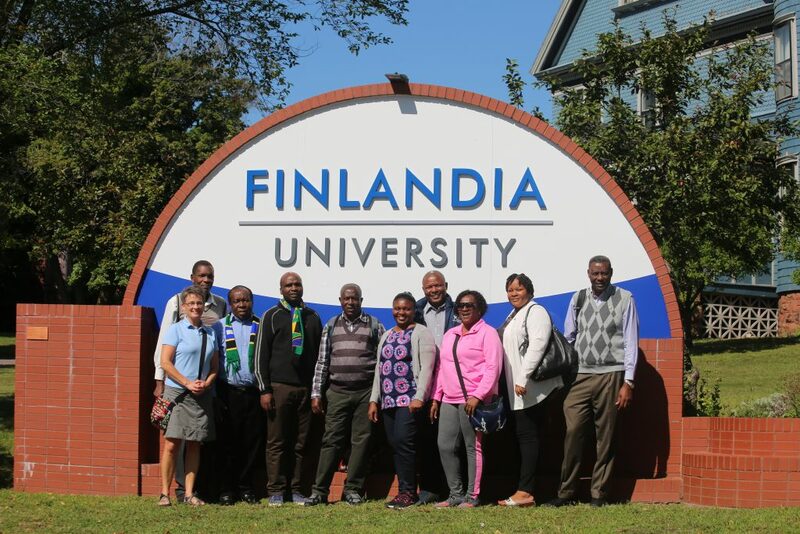 In addition to the group activities, Kitale took her experience as a psychology lecturer to Finlandia where she was a guest speaker in a pair of psychology classes. On Saturday the crew will be representing Tanzania in the annual Parade of Nations celebration, which includes a parade from Quincy Green in Hancock to Dee Stadium in Houghton. Learn more about parade of nations at mtu.edu. In this episode we hear about all of those things, and more as Kitale talks about her experience in the United States.